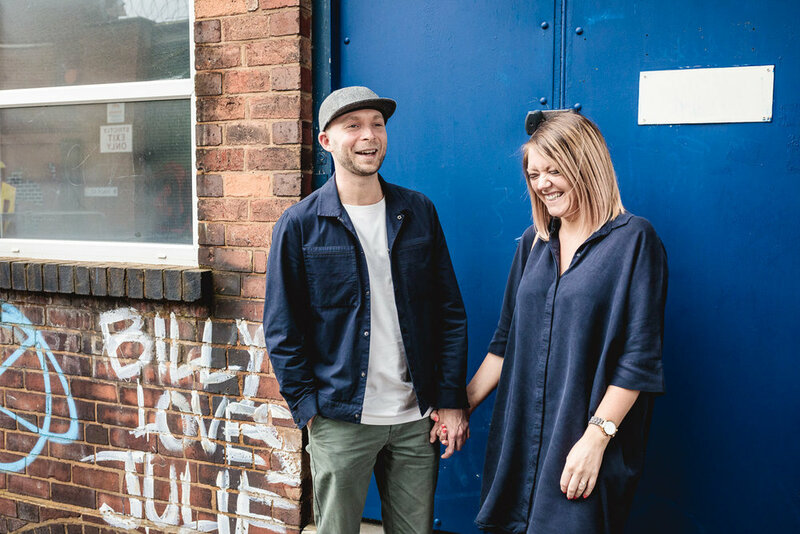 We started our engagement session off by meeting up for a pint to have a little catch up at the Old Crown first, one of Birminghams oldest pubs, before we headed for a little walk around Digbeth and took some photos. I had such a fun and relaxed afternoon with these guys, and I am so excited to be photographing their wedding next year. From what they have told me so far it's going to be an absolute blast. 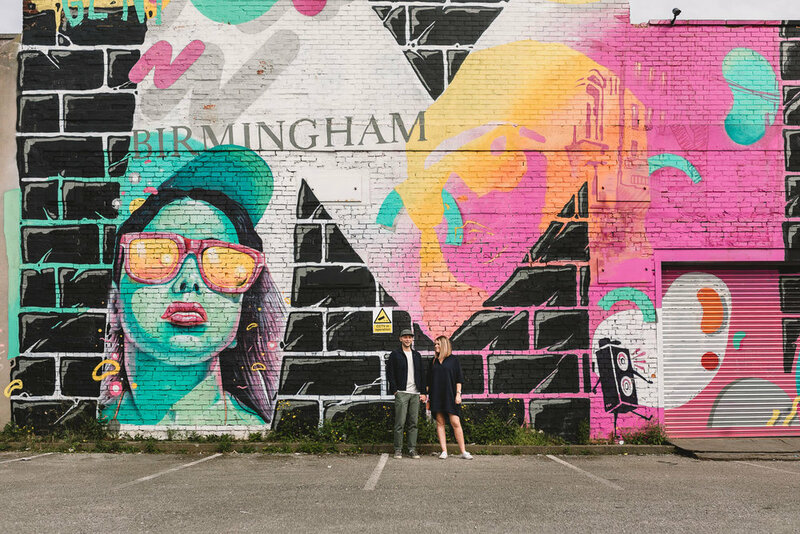 Let's hope there's some new graffiti art around, knowing Digbeth their certainly will be! Bring on next May! This is what Amy and Andy had to say: 'Love the photo's thank you so much! We are so happy'. Here's some of my fave photos from their shoot. Are you getting married at Fazeley Studios & Events, The Old Library or The Bond? I'd love to chat to you about photographing your wedding! Get in touch and lets get that ball rolling. I'm a fun and informal wedding photographer based in Birmingham, smack bang in the middle of the country perfect to travel for weddings! I cover the Midlands, Warwickshire, the Cotswolds and the rest of the UK. I also cover Europe and Worldwide for those couples dreaming of an exotic elopement. Planning a relaxed and laid back wedding? We need to talk!